Please enter the serial number of your drone. Please enter the serial number of your camera. Please enter the purchase date of your drone. 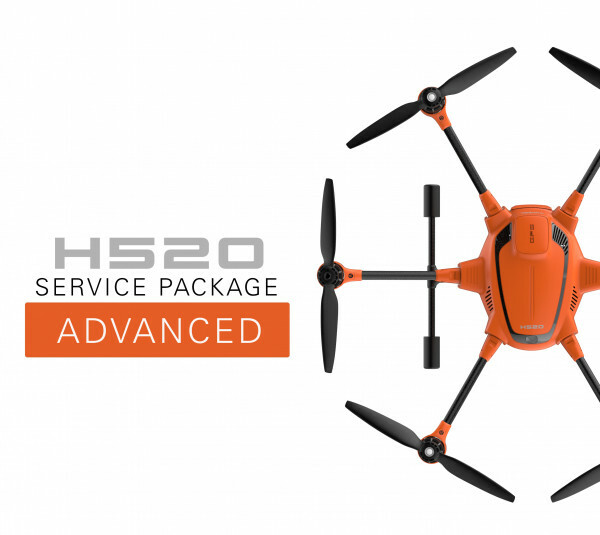 Product information "H520 Service Package Advanced"
The Yuneec service packages are designed for professionals who need the full performance of their UAV during their day-to-day operations, and will face financial loss without the use of their UAV. Thanks to the extended service packages, you will remain permanently operational as our qualified service team takes care of the restoration and maintenance of your UAV within a few days. Yuneec can perform regular checks on all parts of the UAV as part of a comprehensive maintenance, and you can also take advantage of our additional discount for repairs. Regardless of your whereabouts the sending of your UAV is free of charge. All maintenance and repair operations are performed by qualified professionals. If you have any questions, our service team is available Monday to Friday from 9am to 4 pm. You can contact us by telephone, e-mail or by using our ticket system. You are guaranteed to receive a response from a Yuneec professional within 3 hours max. Within the contract period, all necessary warranty repairs will always be FOV and completed withing the quoted period. The duration of our individual service packages last one year. The services of the package apply to an aircraft and a camera of your choice. On request, we can provide you with an individual service package configuration and we will create a service package which meets your specific requirements. NOTE: After purchasing a service package, we will send you the contract documents in the following days. After full payment, the service package comes into force immediately, even if the contract documents have not yet been finalized. *We recommend a maintenance cycle of approx. 200 flight hours. Related Links "H520 Service Package Advanced"